I watched the movie a couple of years ago, but I knew the book had to be better. Some people had recommended it to me, saying it was a beautiful book full of wisdom. The premise of a teenager stranded at sea on a lifeboat with no companion other than a tiger is engaging. But there is more to this story than Verne like adventure, it is a very spiritual and philosophical book and poses many great questions about religion, the human condition and our relationship with the world around us. I immediately fell identified with Pi Patel’s search for truth and God. I myself have gone through phases of extreme uncertainty and others of extreme faith in a power bigger than myself. But Pi’s search is a very innocent and human one. He doesn’t see how there are boundaries between religions and beliefs. But the bigger story can also be seen as a parable. 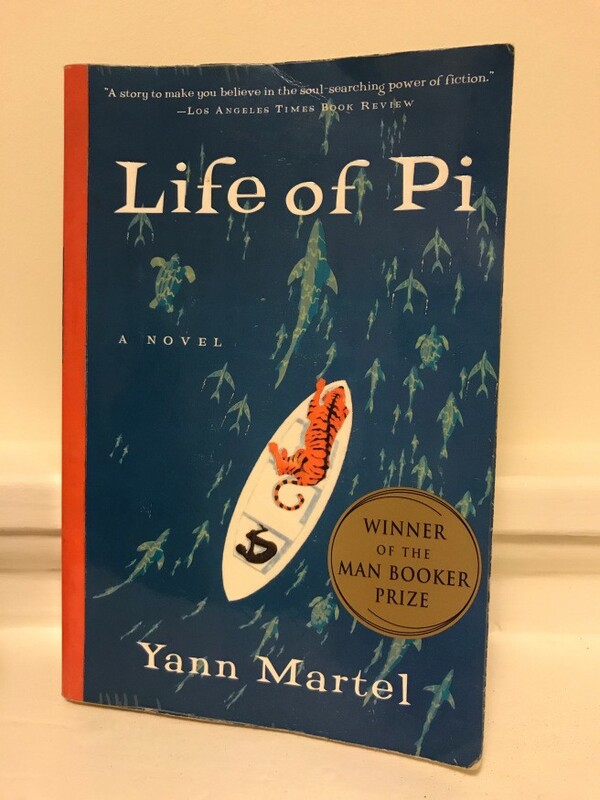 Pi’s great misfortune turned adventure as he loses his family and becomes a cast away in the middle of the unforgiving Pacific Ocean can be seen as a metaphor of life. His story inspires with human endurance and educates about animal-human relations. It is, indeed, a work of fiction, but so much can be learned from fiction. I devoured this book. As a story, I wanted to know what would happen next. How is he ever going to get out of this one? As a parable, I didn’t necessarily find answers to my questions, but I did find solace in knowing I am not the only one asking them and truth might be closer than I imagine. Originally published on January 21st, 2018 on Books & Pudding Wordpress Blog. Reader. Writer. Coder. Previously traveled around Europe as a Digital Nomad, now I live in San Francisco and work in tech. Books I am reading. Delicious things I am cooking.